Are you looking for unique decoration ideas for your facility? Do you want to keep your customers comfortable while keeping your place vibrant? 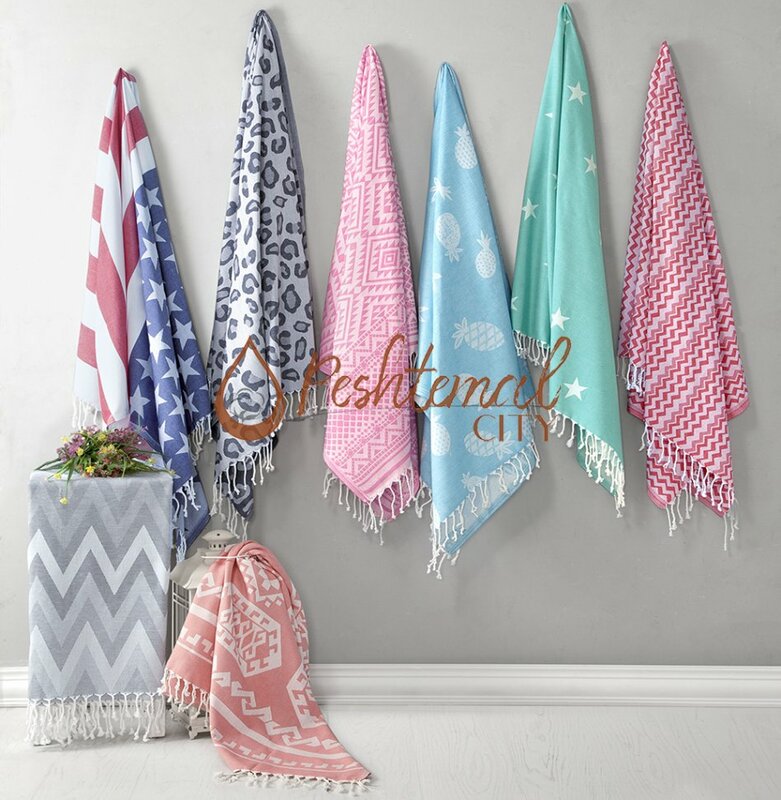 As a wholesale manufacturer of peshtemal, we’re here to offer you our decoration ideas! In this week’s blog post, we’ll be writing down our decoration ideas for 3 different occasions and facilities! 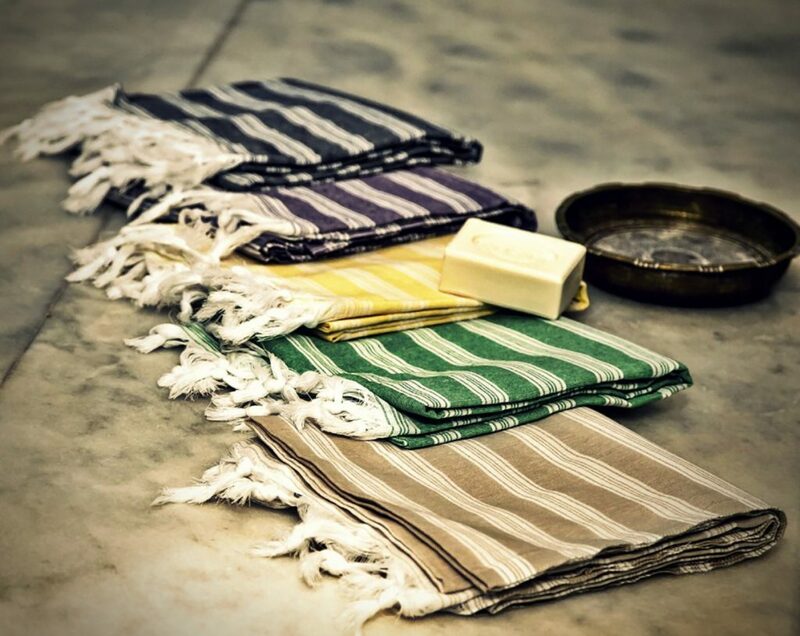 Get ready to be amazed by the usage areas of our luxurious Turkish towels! Do you want to add a baby-care room to your facility? Or do you want to offer parents to have a nice and comfortable time with their babies? 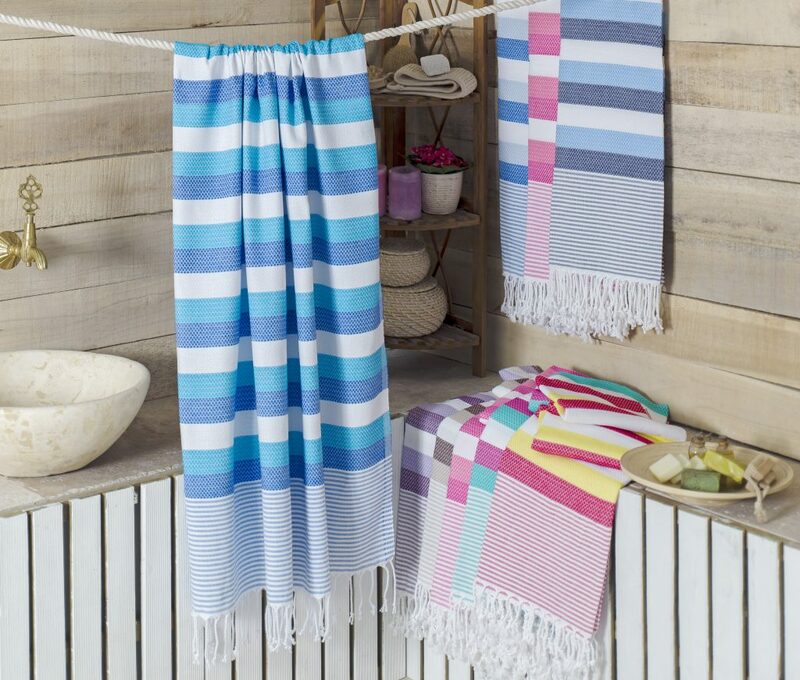 Our vibrant Turkish towels are perfect for that situation! Here’s the “how” and the “why”! 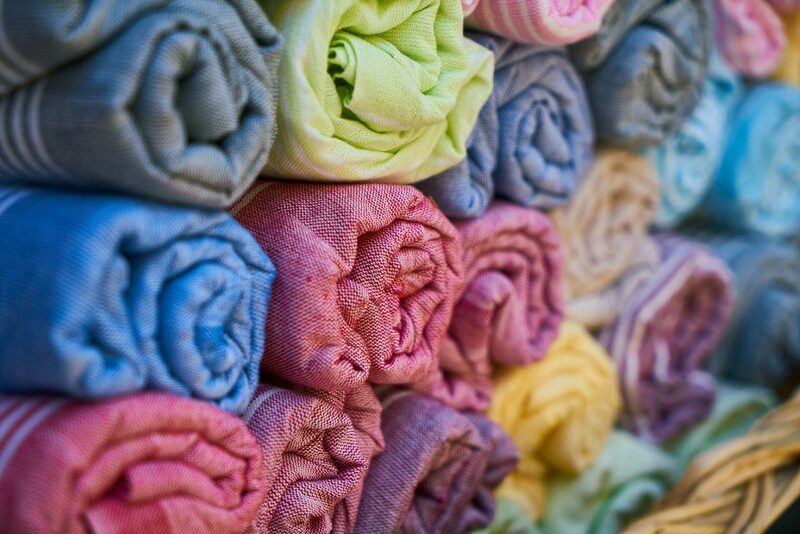 As a wholesale manufacturer of peshtemal, we weave our entire collection 100% from hand-picked Turkish cotton! That helps us manufacture both healthy & luxurious Turkish towels! We don’t only use high-quality raw material on our products, but we also apply the designs with anti-allergen & nature-friendly dyes! Thus, you can confidently offer our Turkish towels to your customers even for baby care! So, we told you about the texture of our products above. But what about the designs? 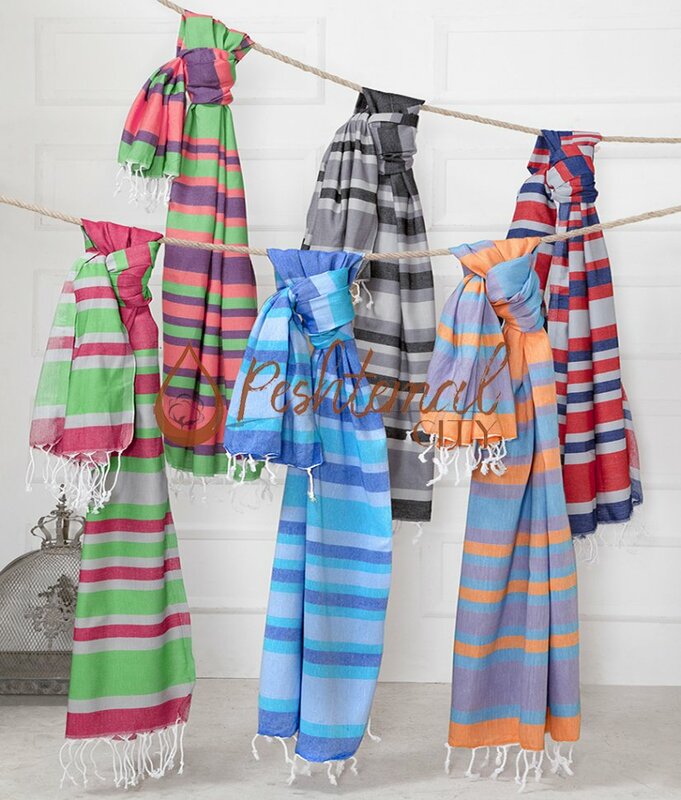 We offer you lively, colorful and eye-catching designs on our comfortable peshtemal! With our fancy designs, you can offer your customers a heart-warming environment to spent time with their children! Or you can decorate your baby-care rooms with our healthy, comfortable, and vibrant Turkish towels! We’ll leave the pictures and the links to 3 of our liveliest Turkish towels suitable for baby room decoration! 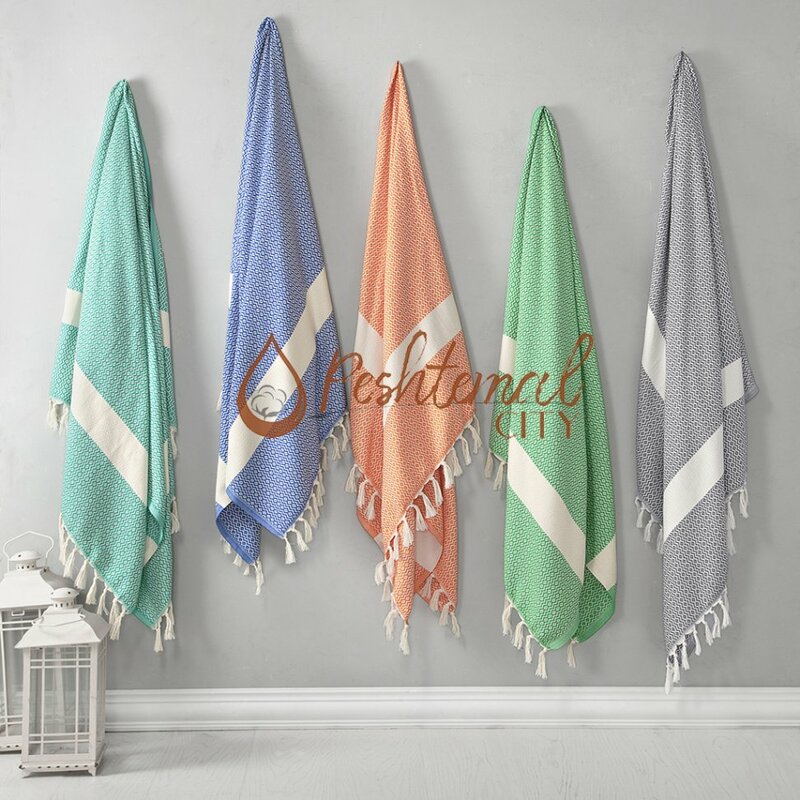 Peshtemal, widely called as Turkish beach towels, are not only light-weight, soft, absorbent, and quick-drying, but also fancy enough to catch everybody’s attention at the beaches! 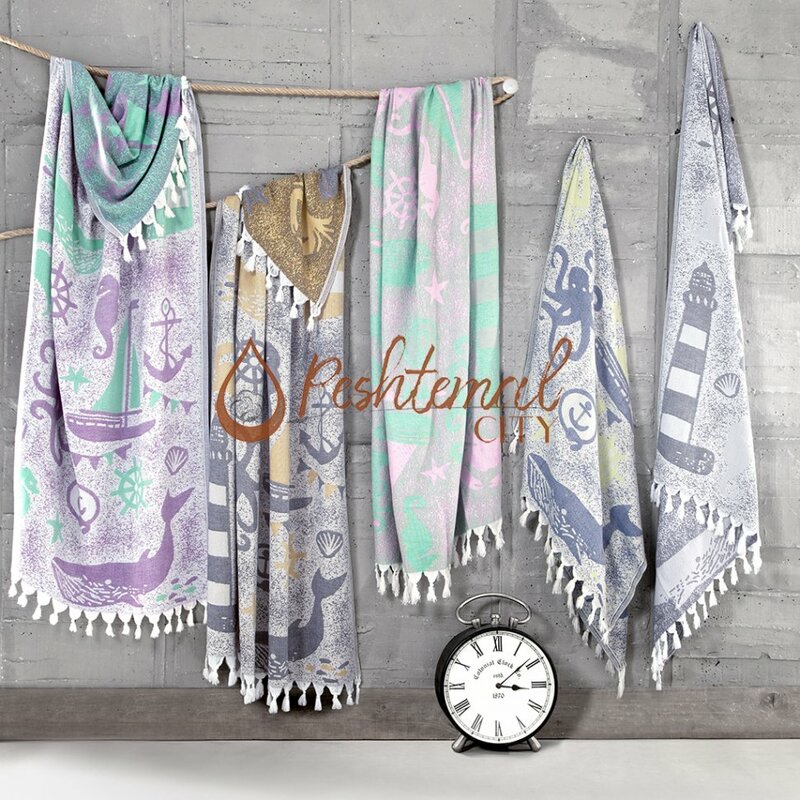 Picture your beach club decorated with our lively, fashionable, and breath-taking Turkish beach towels. 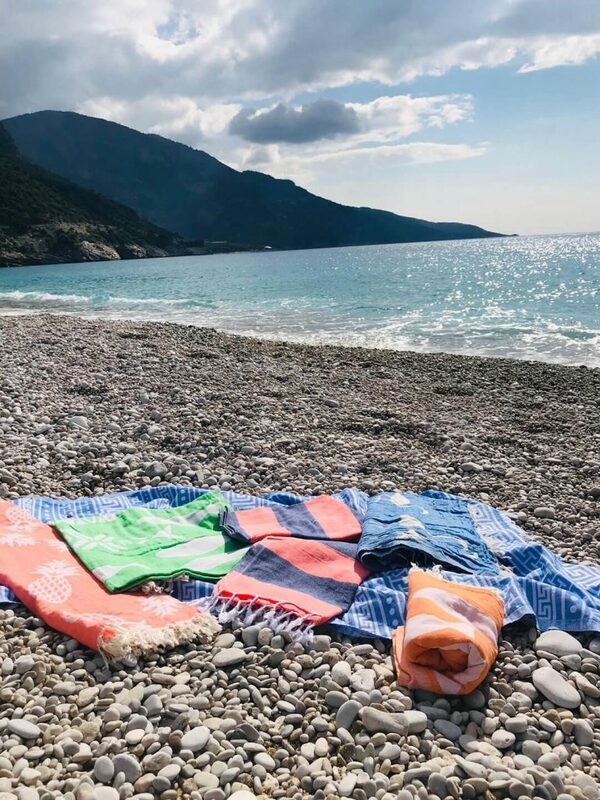 Covering the sunbeds on the beach with the colorful Turkish beach towels we manufacture & export is a perfect way to decorate your beach club with, isn’t it? Our Turkish beach towels are not only fashionable but also luxurious! You’ll make your customers remember their vacation on your beach club both with the lively decoration, and the comfortable time they had! It is easy to have happy customers and recommendations with the premium quality Turkish beach towels we manufacture and export! 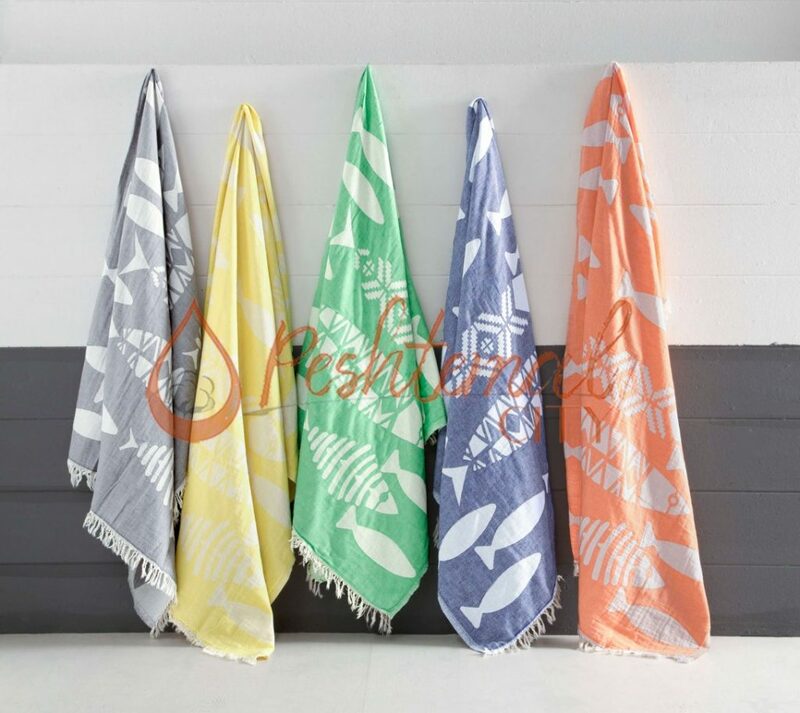 We’ll leave 3 of our latest fashion and comfortable Turkish beach towels for you to picture yourself decorating your facility with them! Do you run a boutique hotel? Maybe you are a hotel manager. Discover the traditional peshtemal designs we manufacture & wholesale and enhance the elegance of your facility easily! As a wholesale manufacturer of peshtemal, we offer you the most preferred peshtemal designs on the entire market! We export premium quality hotel textile products to most of the biggest countries of Europe and North America. As 100% of our business is export-based, it is our duty to offer you premium quality & elegant products along with our fast & reliable services. 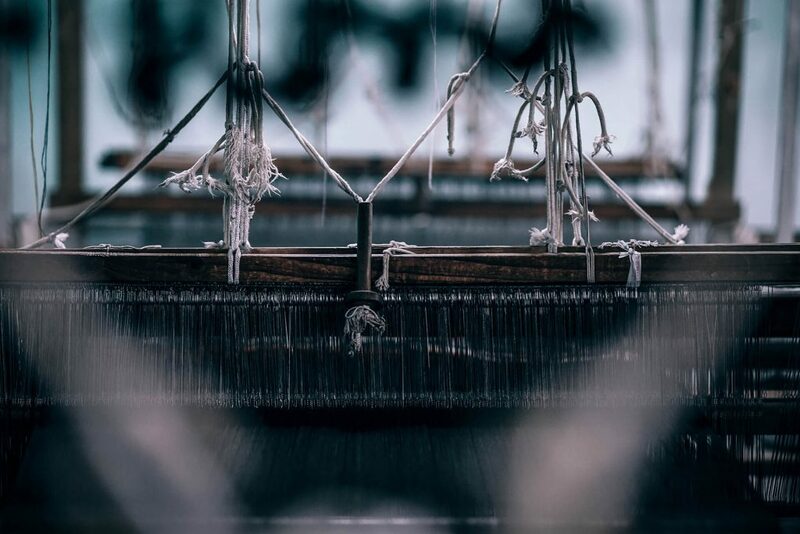 So if you’re running a boutique hotel, or you are a hotel manager, feel free to contact us to discover the opportunities we offer for hotel textile! You can easily decorate your hotel bathrooms with our peshtemal sets. You can decorate your hotel’s indoor pool’s or outdoor pool’s sunbeds with our lively Turkish beach towels. You can decorate the hammam or spa in your hotel with our traditional hammam towel designs easily! In short, you’re just one mail away to enhance the elegance of your facility! We offer you a peshtemal design suitable for every operation in your hotel! We’ll be leaving 3 of our most preferred and luxurious traditional peshtemal designs for you! Before we finish this week’s article, we’d like to remind you of a couple of important things on the list below! Thank you for following our blog. We wish that our posts are helpful and entertaining for you! 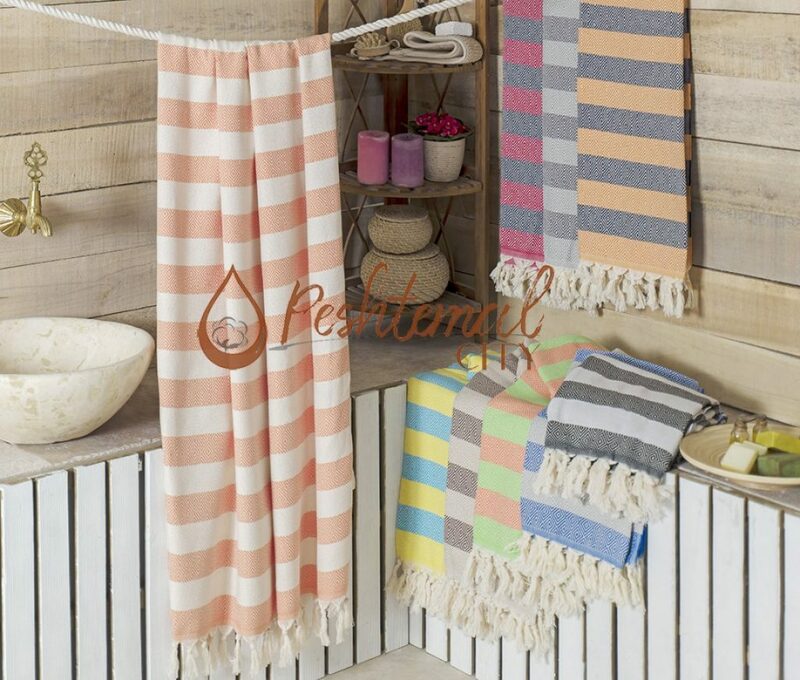 You can easily discover our entire peshtemal collection by visiting our Turkish towel product page! You can also find our home & hotel textile products on our Bathrobes & Blankets section! Please don’t hesitate to contact us for your questions or peshtemal wholesale needs! You can find our contact information quickly on our “contact” page! 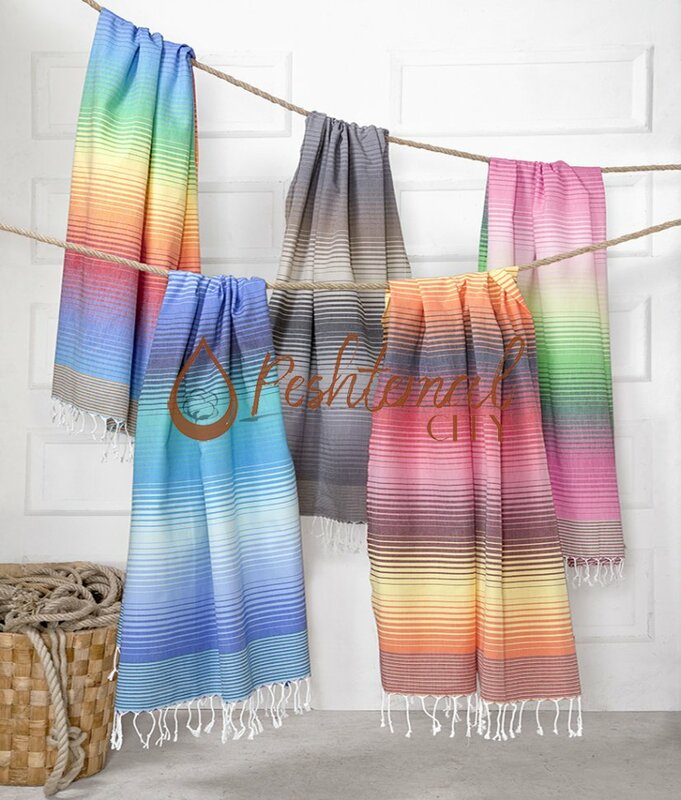 Peshtemal City, the Turkish towels manufacturer and exporter, wishes you a profitable Spring 2019! Before we begin our article, we’d like to celebrate an important day! International women’s day… We wish a happy & joyful life to all the protecting mothers, loving sisters, caring grandmothers, aunts, and thoughtful friends all around the globe! 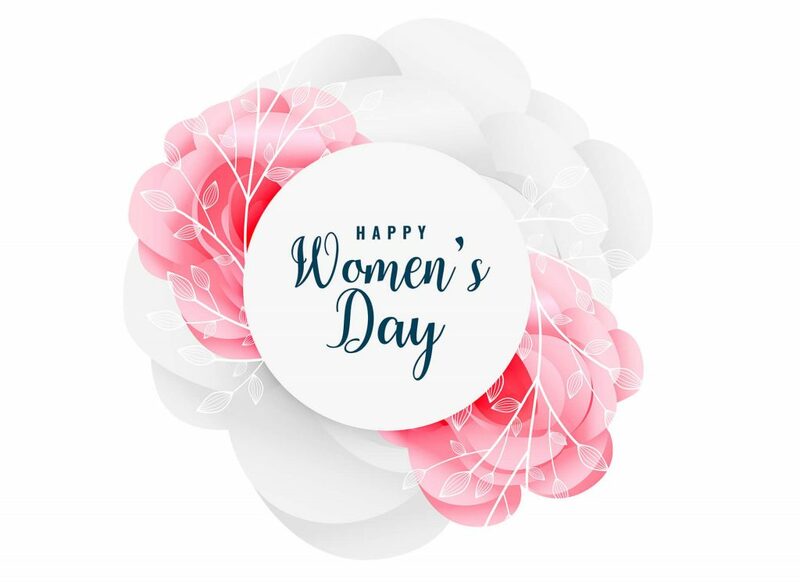 And as a wholesale manufacturer of peshtemal, we’d like to celebrate the International Women’s Day of all the hard-working ladies all around the World. Happy International Women’s Day 2019! 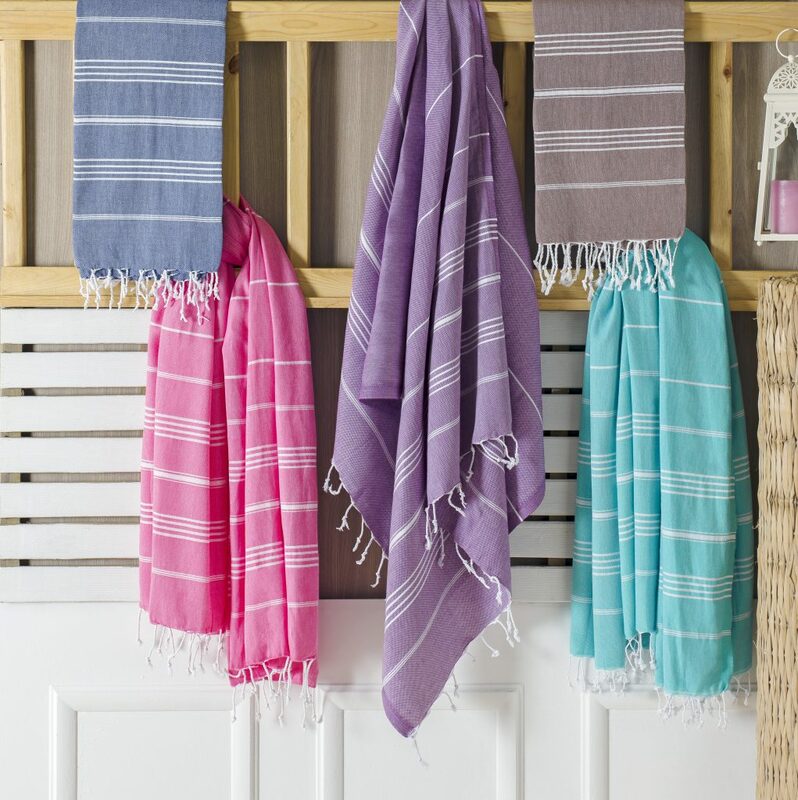 In this week’s article, we’ll be discussing why peshtemal, also known as Turkish towels, is the only towel you need! Is it realy that comfortable? Do we have a peshtemal design for you? Is there a peshtemal set that match your facility’s decoration? We’ll discuss all these in one single post! What are the Features of Peshtemal? We’ll first list all the features of peshtemal, and then tell you what causes a peshtemal to be so comfortable! As a responsible peshtemal manufacturer, we attach importance to your comfort and health. Thus, we weave peshtemal 100% from hand-picked Turkish cotton. 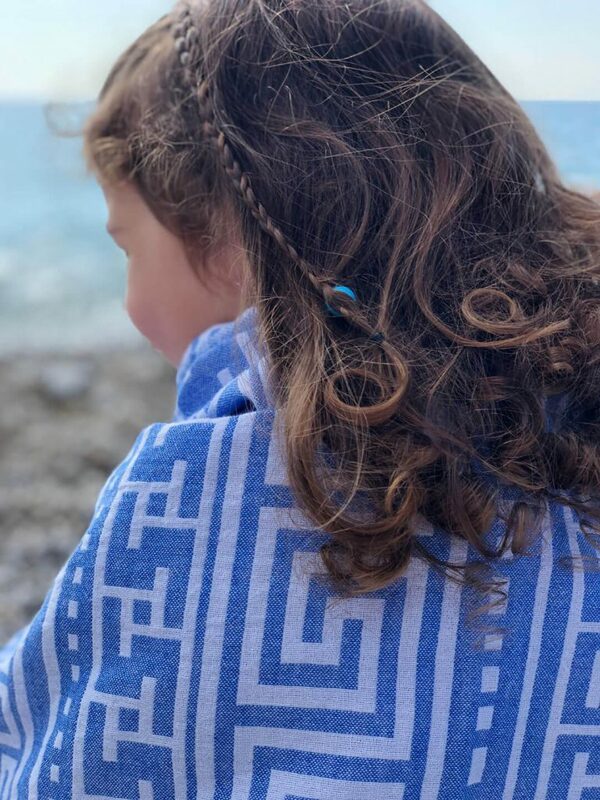 Combining luxurious Turkish cotton with special weaving techniques that are developed throughout the history by master craftsmen, results in extremely comfortable Turkish towels! Our products are mostly extremely light-weight, and thin! But don’t worry, thanks to the special weaving techniques and Turkish cotton we use, our products are highly absorbent! Plus, Turkish towels are naturally quick-drying! Being thin and light-weight adds more features to peshtemal than you can imagine! They’re not only absorbent and quick-drying, they are also super packable! And don’t worry, peshtemal we manufacture and wholesale are extremely durable. That means you can use our comfortable products confidently for a long time! You can be sure that our peshtemal won’t let you down, ever! You Can Confidently Use Our Peshtemal! As a wholesale manufacturer of Turkish towels, we attach importance to both your COMFORT and HEALTH! We co-operate with the best dye-house in Denizli/TURKEY to apply the dyes on our products! 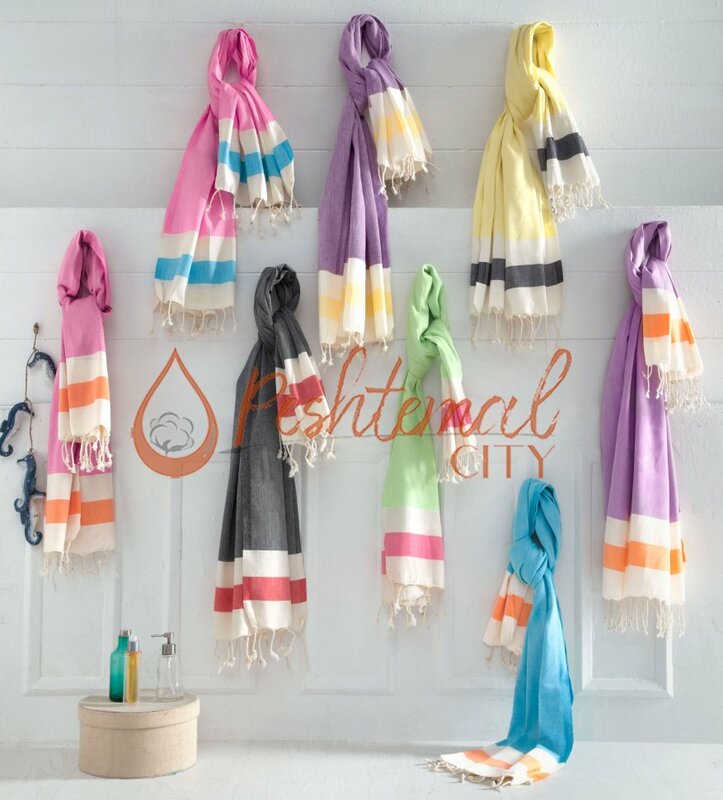 As we use premium quality, anti-allergen dyes on our Turkish towel designs, you don’t need to think twice while using our peshtemals! Their texture is both comfy and harmless! 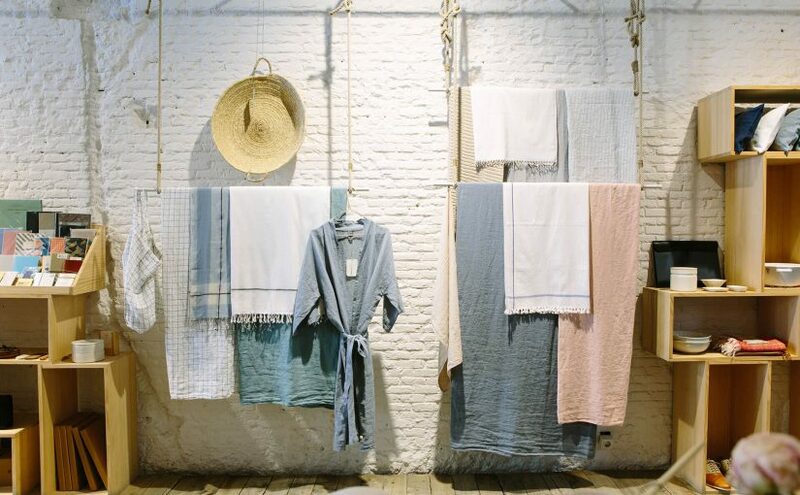 We discussed the luxurious texture and the dyeing proccess of the Turkish towel we manufacture earlier! Now, we’ll talk about the designs and the wide color spectrum we offer for our products. As a Turkish towel manufacturer and wholesaler, R&D activities are extremely important for us! Our designers follow the latest trends to come up with stylish peshtemal designs! Our engineers follow the science and make researches to find more efficient weaving techniques! As a result of our continious R&D activities, we come up with eye-catching peshtemal designs with every new season! Thus, we have a peshtemal design for every type of person in the entire World! For example, if you like simplicity, we’d surely offer you Single Peshtemal! 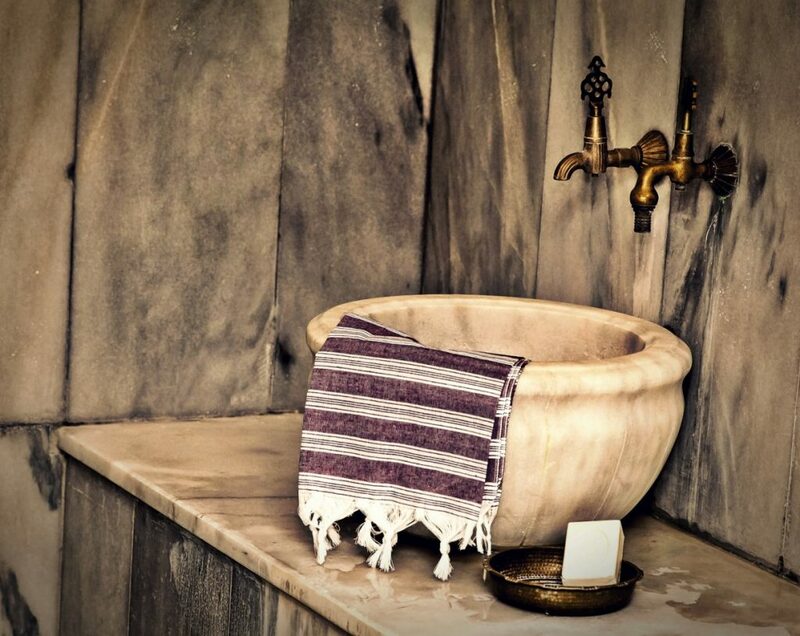 If you’d like to decorate your bathroom with a traditional hammam towel, we’d offer you our dearest Sultan Peshtemal! If you’re looking for an oriental design, be sure to check Damask Peshtemal! And if you’re looking for a stylish beach towel, you’d be happy to check Jacquard Peshtemal! In short, we have a peshtemal design that’d meet your needs for every situation! You can discover our entire peshtemal collection by simply visiting our products page! You can also keep updated about our newest designs by visiting our Facebook, Instagram, and Twitter pages! Are you thinking of trying peshtemals? Great, we have a suggestion for you! Do you know how you can completely decorate your facility with peshtemals? What is the historic friend of it? It is definetly peshkir! 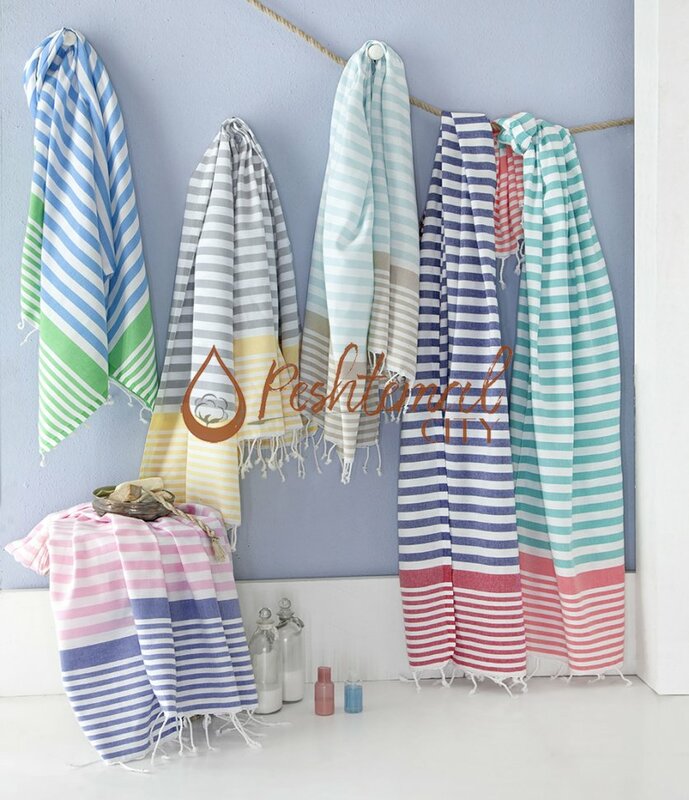 If you think peshtemal is similiar to bath or beach towels, you can think peshkir as the similiar of hand or tea towels! Peshkir is the smaller sister of our dearest peshtemals! If you’re interested in trying one of our comfortable and luxurious peshtemal designs, then mail us about a peshkir that matches your choice! We also offer other kinds of home textile, hotel textile, and beach textile products that match our peshtemal designs! You can discover our comfortable blanket & bathrobe designs on our website easily! If you’re interested, you can read our “Three Musketeers of Textile: Peshtemal, Peshkir, and Peshtemal Bathrobe” article for more information about our products! Don’t miss the opportunity to decorate your homes with our stylish and heavenly comfortable products! After informing you about the heavenly texture and the elegant designs of our Turkish towels, we’d like to show you some of the top-selling products of 2018 season! 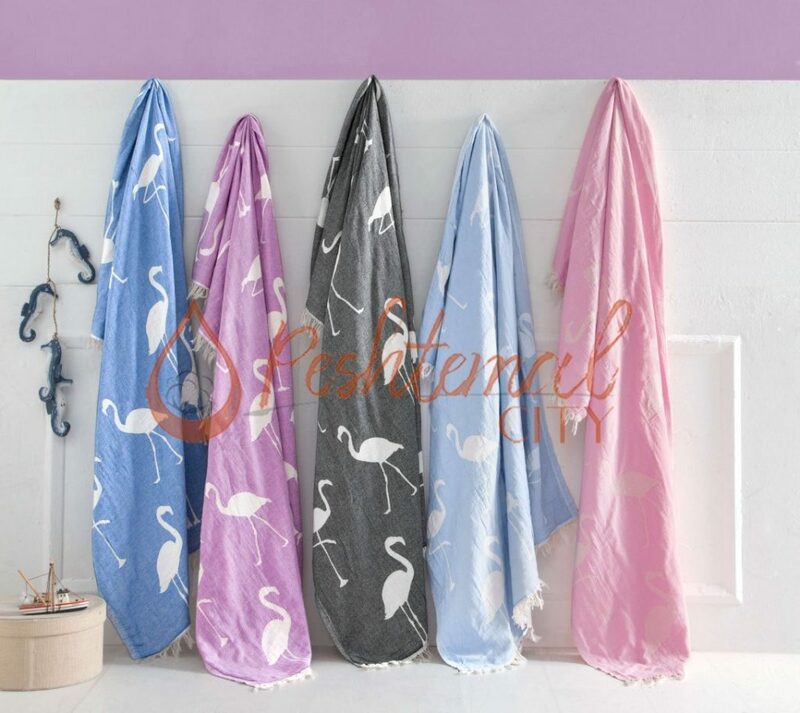 And we’ll also display some of our newest Turkish towel designs we released for the 2019 season! By browsing through our blog, you can find various information about peshtemals! Before we finish our article, we’d like to mention a couple helpful information for you! If you’re interested in getting a peshtemal, you can discover our entire collection by simply visiting our products page! You can also follow our Facebook, Instagram and Twitter accounts to keep updated about our latest posts, new peshtemal designs and more! You can fastly contact us by sending us an e-mail. You can easily find our contact information on our “contacts” page! As a peshtemal manufacturer and wholesaler, we’re happy to receive your questions! So please don’t hesitate contacting us for any questions or your peshtemal wholesale needs! 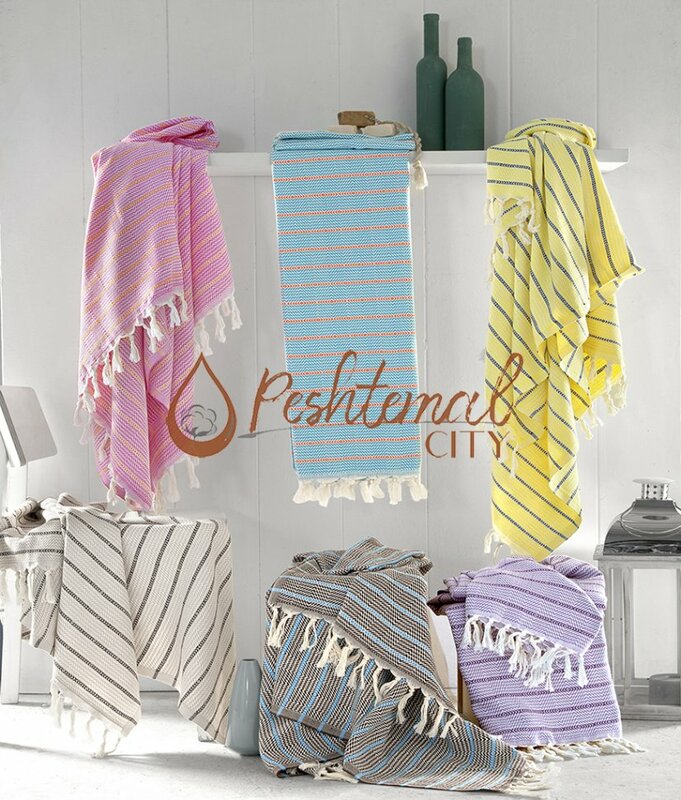 Peshtemal City, wholesale manufacturer of Turkish towels, wish you a happy year! Do you want your customers to remember you? Recommend you to their friends? Or do you want them to revisit? Well, besides offering them the best possible service, giving them corporate gifts is one way to make your customers remember you! Why not give them elegant & comfortable peshtemals? You might give them notepads, coasters, pens, note holders etc. But thats what just everyone does right? Your customers should’ve received thousands of those gifts and they might never find a chance to use yours! With a pinch of creativity, you can find something unique to give your customers! 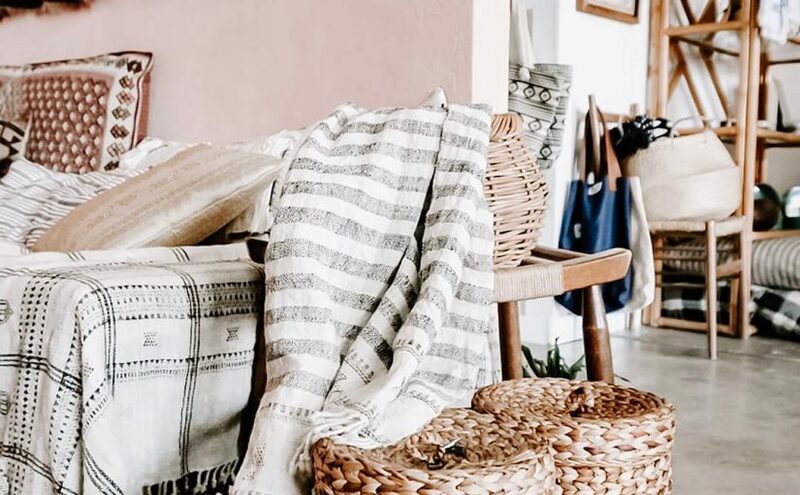 In this week’s blog post, we’ll tell you why peshtemals, also known as Turkish towels, are the perfect gifts that’ll make your customers remember you! 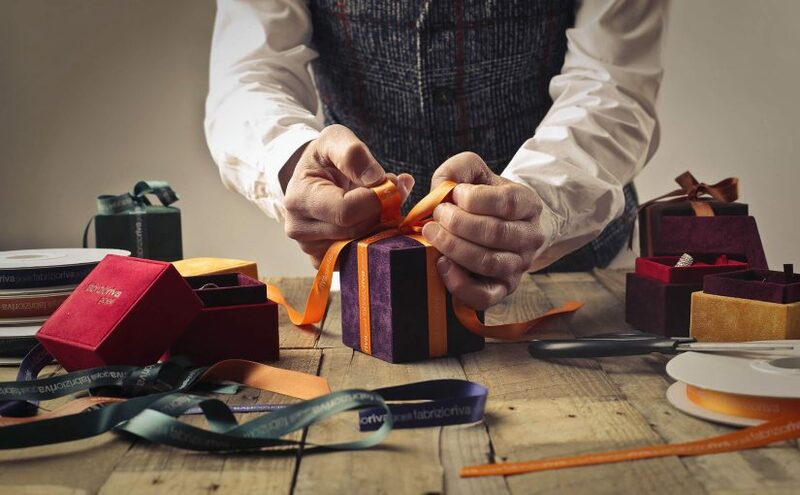 While giving your customers gifts, you should keep in mind that the gift must be useful! Your customers will throw away or will never use unnecesary things, right? However, giving them a useful gift will make them grateful to you. Used for many centuries by Anatolian people, peshtemal is suitable for daily use. You can decorate your home with our traditional peshtemal designs. You can take our eye-catching Turkish beach towels with you to hotels, spas, pools & beaches. You can take our comfy Turkish towels to picnis. 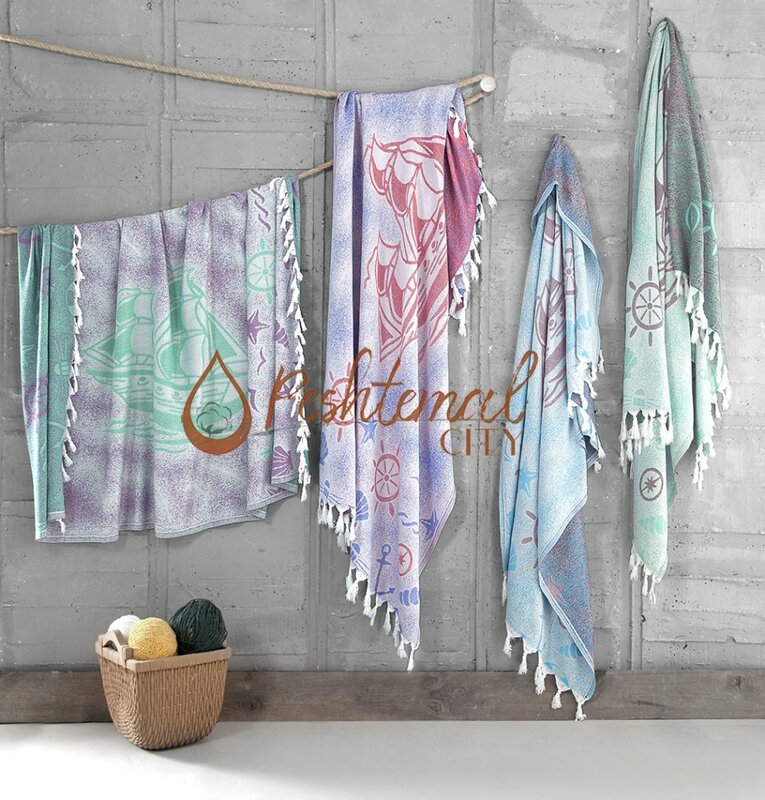 And you can use our elegant hammam towel designs after a relaxing bath! 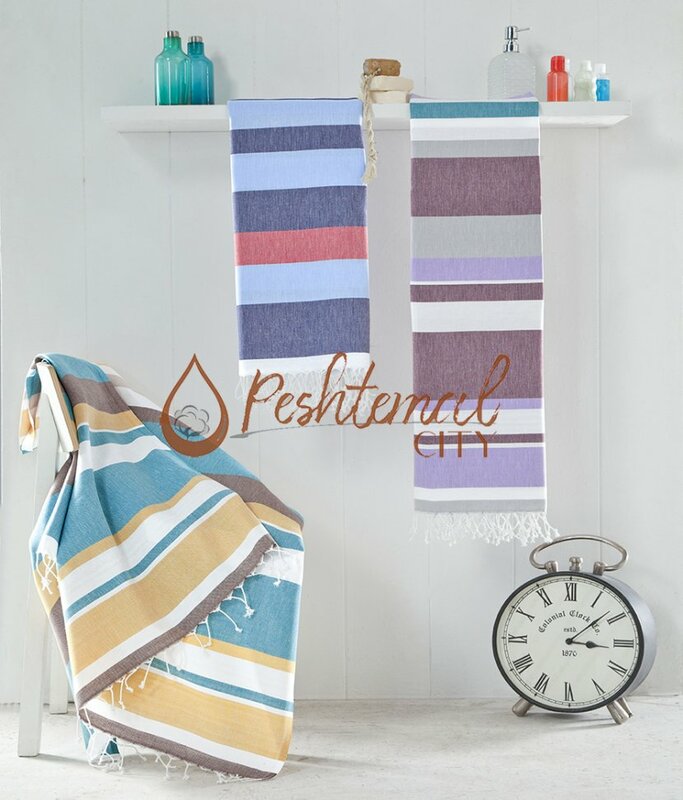 In short, peshtemal is a perfect gift that can be used all day, everyday! While giving someone a gift, you should concider if it is a unique, special gift or not? It is what makes a gift remarkable, isn’t it? 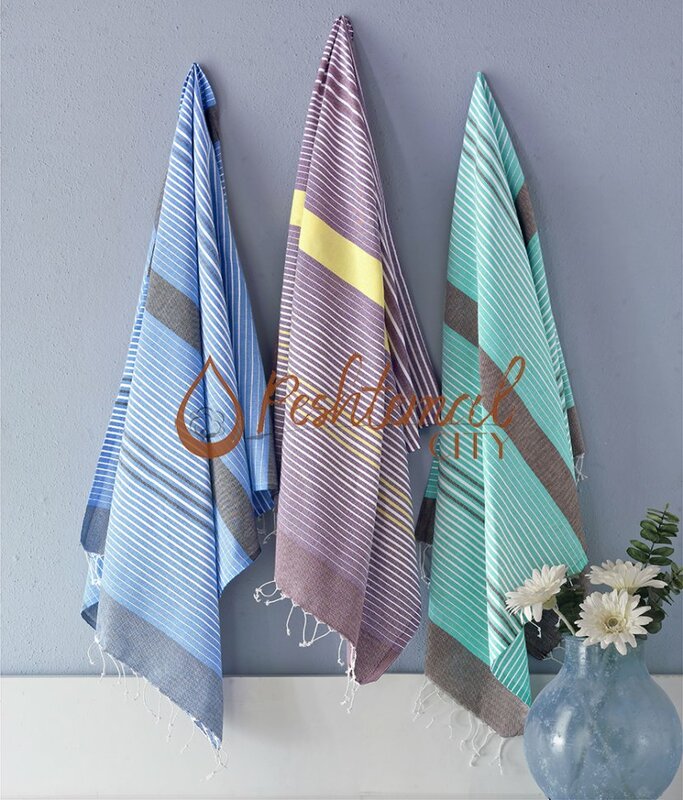 Peshtemal is not just an ordinary towel! It is a centuries-old Anatolian tradition! You can give your customers some interesting information about peshtemals while giving them their special gift! They’ll know that you work hard to keep them happy! And that’s what makes a gift special! You can find more detailed information about the historical & cultural aspects of peshtemals to attract your customers on our “What is Peshtemal?” page! Do you want your logo on the peshtemals? No problem! Do you want to write something on it? No problem at all! Do you want to apply unique labels on them? We can definetly arrange that for you! You can completely customize our peshtemal designs to meet your needs! And it is all really simple! You don’t need to contact 3 different companies to create just 1 gift for your customers! Go to our contact page! Simply send us a mail about your needs! And as a peshtemal manufacturer, we’ll handle all the proccess for you! For more detailed information or for your questions we suggest you send us a mail right now! And we’ll contact you as soon as possible! 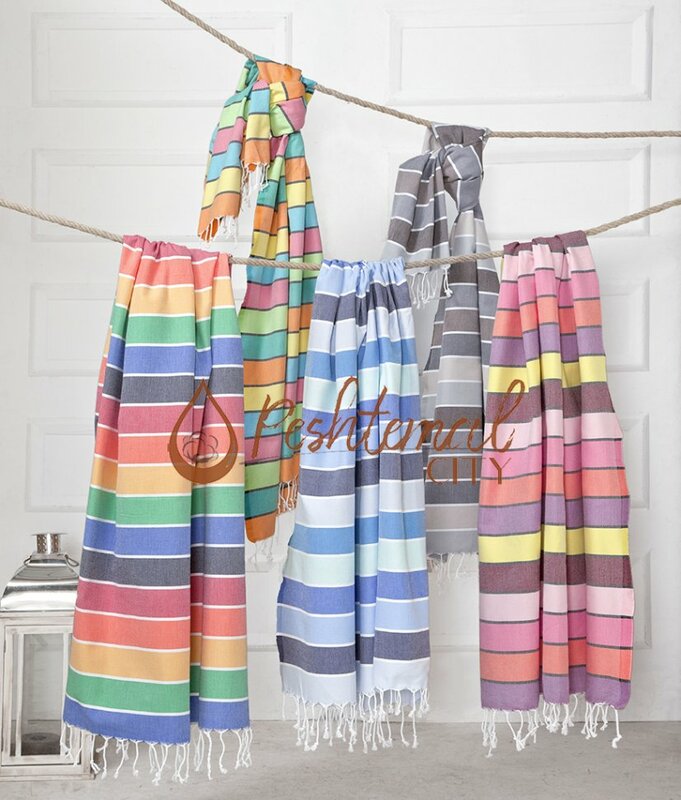 As a peshtemal manufacturer and wholesaler, we follow the fashion 24/7 for you! Our designers work hard to come up with designs for every customer you might have! We have traditional hammam towel designs for those who love history. 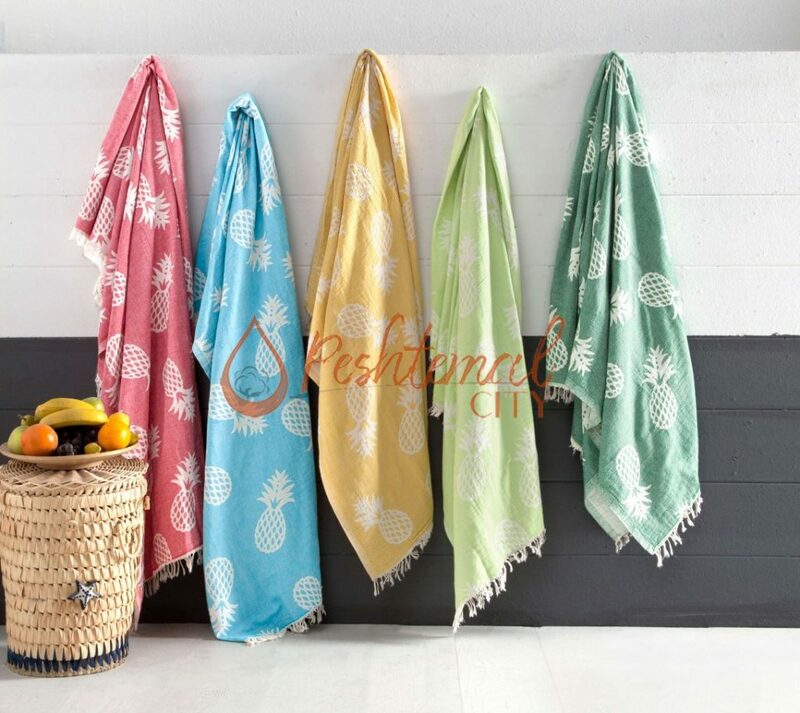 We have stylish Turkish beach towel designs for those who love vibrant colors & attractive shapes. And minimalistic Turkish towels for those whose motto is “form follows function”! In short, we offer you a wide collection! Do you know what is even coller than a wide collection? The wide color spectrum we offer for our entire collection! You can find the peshtemal design which suit your line of business & the interests of your customers on our products page easily! As a peshtemal manufacturer and wholesaler, we attach importance to both design & quality! As we already said, we work hard to come up with elegant peshtemal designs. We also work hard to manufacture comfortable peshtemals for your customers. And durable as stainless steel! Last but not least, the dyeing proccess is done by the best dye-house in Denizli/TURKEY. We use premium quality dyes to apply the stylish designs on the heavenly textures of our products! 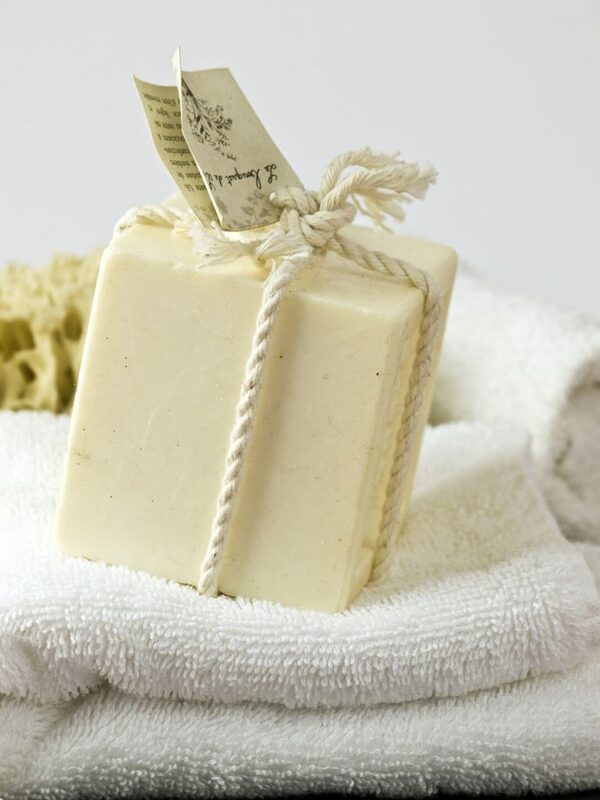 Our products don’t contain any harmful materials on their textures. You can safely and confidently hand our premium quality peshtemal designs to your customers who deserve the best! To summarize everything, we’ll tell you everything shortly once more in our cute little list below! Peshtemal is a unique gift! Pencils, notepads, coasters are not. It is not just a towel! It is a centuries-old tradition. Your customers will know that you care about them once they receive your gifts! We follow the fashion for you! We offer you a peshtemal design for every kind of customer you might have. Our products are heavenly comfortable! They don’t contain any harmful material on their texture! They’ll definetly make your customers remember, recommend & come back! Before we finish we want to mention some small details that are important for you! As a peshtemal manufacturer & wholesaler, we are always happy to answer your questions! So please, go to our “contacts” page and ask us any questions about our products! You can also contact us for your peshtemal wholesale needs 24/7. Peshtemal City, wishes you a happy year!